Pay less for your home and car insurance simply because we love the job you do.give us a try and find out a new level of service today. Nurses are hard workers, caring individuals and... good drivers. That's why we've put together Alberta's most inclusive group auto and home insurance program. If you're an active or retired nurse in Alberta - you qualify. The word nurse is a verb meaning to care for, to nurture and to tend to. And that's just what our nurses do. We know that your insurance can't give back the same care that nurses give to people in our communities every day, but we can help by offering better coverage, better pricing and caring service for a product that nurses are already paying for... your home and car insurance. You won't find a better option for nurse insurance in Alberta. If you're currently working as a nurse OR have retired from the nursing profession, you qualify. Find out more about our Nurse Group Insurance program! 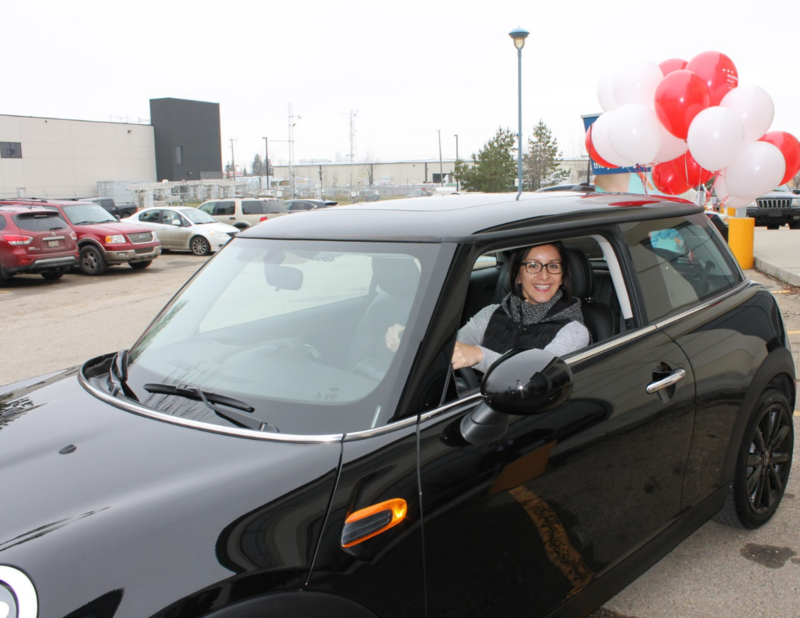 We gave away this Mini Cooper to one of our lucky group members. Watch for more contests coming soon! Help us give back to the nursing community. Share this program with your friends and colleagues today!